OWL-O-WEEN HOT AIR BALLOON FESTIVAL: The 6th Annual Owl-O-Ween Hot Air Balloon Festival is Atlanta’s FIRST Hot Air Balloon Festival and LARGEST Costume Party! Friday, October 19, from 6-11pm, and Saturday, October 20 from 4-11pm. 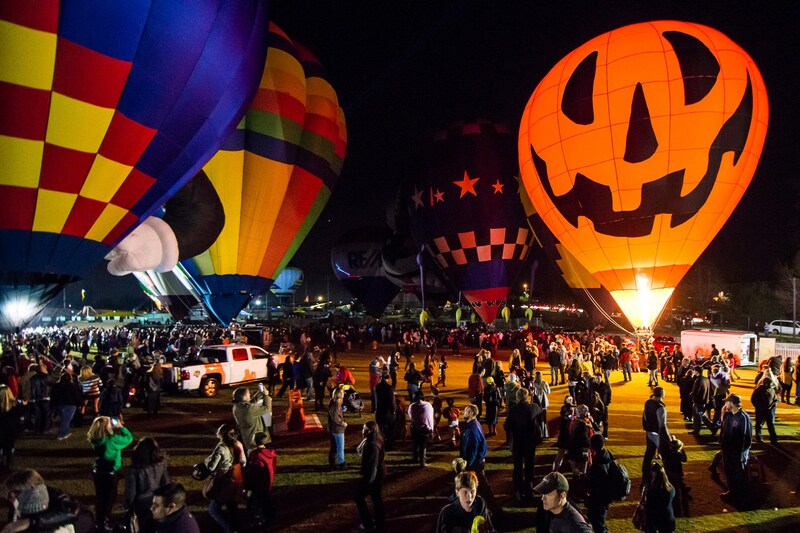 As night falls, 20+ hot air balloons provide the beautiful glowing backdrop for this visually stunning autumn event! Multiple Stages, Balloon Glows, Tethered Balloon Rides, Costume Showdowns, Trick-or-Treating (from balloon to balloon), Merchant Marketplace, and more than 120+ Performing Artists will thrill audiences throughout the park. Fire Eaters! Aerialists! Ice Carvers! Sword Swallowers!…They’re all here. Revelers of all ages are encouraged to go all out, and join in on the fun at the Costume Catwalk Party! Prizes are awarded for best costumes, but the real fun is just to see and be seen. Get your tickets and parking now, to save money and time on event day at www.Owl-O-Ween.com.